As some of you may have heard, mustard pickles under the Zest and Habitant labels have been discontinued by producer Smucker Foods of Canada Corporation. 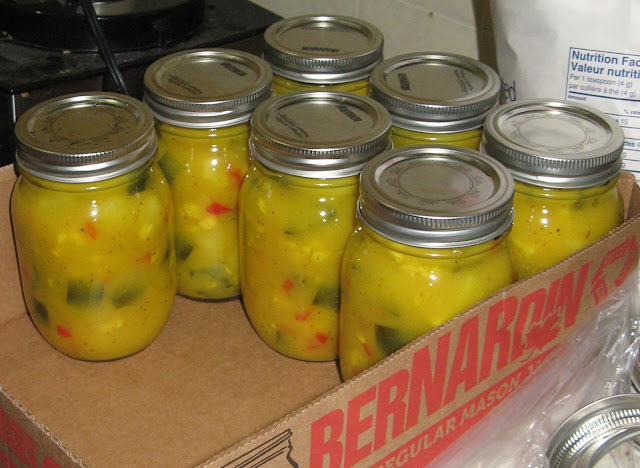 Mustard pickles are an important part of Newfoundland and Labrador foodways, and people have been upset! Of course, there are other options for pickle lovers (Belbin's makes mustard pickles, as does the Newfoundland Jam and Pickle Factory). Numerous people have responded on social media saying, "I'm not worried, I make my own mustard pickles." So here at the intangible cultural heritage office, where we are always thinkings about traditions in flux, we want to help! We want YOUR mustard pickle recipes! In the tradition of sharing and transmitting knowledge about local foodways, we will share those recipes and get people making pickles the old fashioned (and maybe new-fashioned?) way! and we'll share them on ichblog.ca.